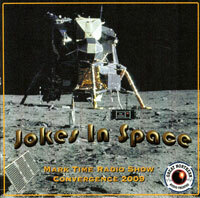 Funny animal cartoons on the radio. 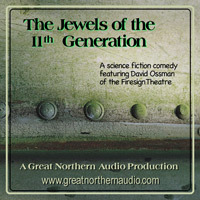 An audio novel of the time after the collapse and dissolution. or Do You Want Fries With That? 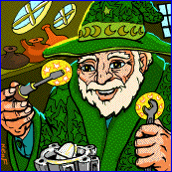 Featuring David Ossman and Jane Yolen. 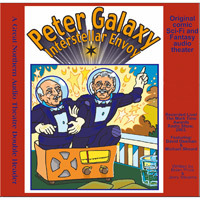 Featuring David Ossman and Wally Wingert. 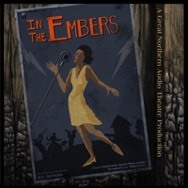 Featuring David Ossman and Michael Sheard. 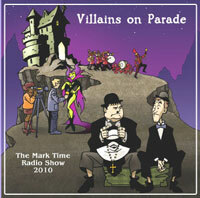 The Mark Time Radio Show 2003, and part of "Three Wizard Tales" collection. or The Lighthouse At the End of the Tunnel. 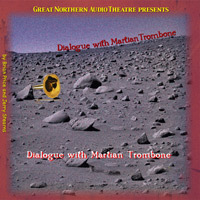 Featuring Roger Gregg of Crazy Dog Audio Theatre. 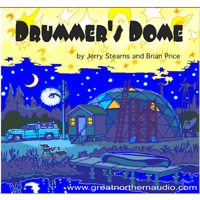 It's a geodesic dome on the lake shore Up North, but it's not just a place you travel TO. A comic audio cowboys and aliens mystery. 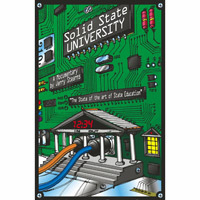 A mockumentary on The State of the Art of State Education. 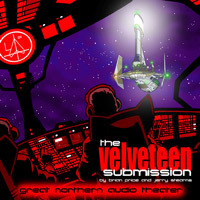 An audio serial in 13 3-minute episodes. The town isn't frozen in time, it's just frozen. 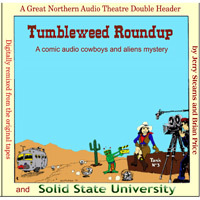 Attracted to silly characters, fun language and convoluted plots The Great Northern Audio Theatre has been around since 1995 when Jerry Stearns and Brian Price combined their various audio theater skills to write and produce Tumbleweed Roundup. 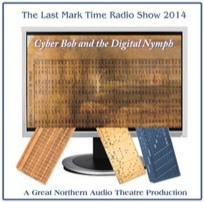 We call what we produce contemporary audio theater. 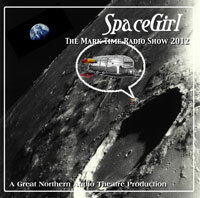 It used to be called radio drama, but it's not on the radio as much as it once was. The big contracts and the huge grants have disappeared, if they ever were. But the Internet and audiobooks have arisen. There are lots of places to tell a good story in sound. It's a medium that is full of visuals, full of Imagination, and full of fun. 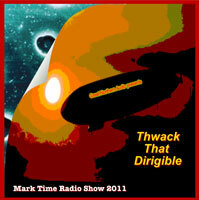 We aren't going to rekindle Old Time Radio. 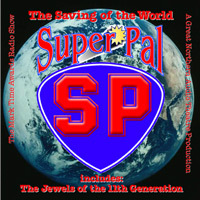 We're going to build and add on it with new stories, new technology, and a sense of audio adventure. 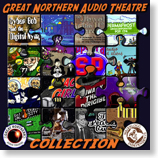 Most of our Great Northern Audio Theatre productions have been featured in someone’s podcast at some time or other, so it’s not like they aren’t out there to listen to. 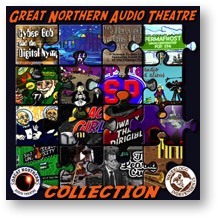 Most of them are featured in the Moonlight Audio Theatre podcast. 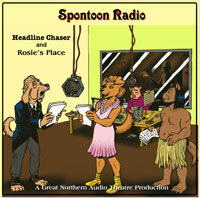 Specific stories and a Boxed Set of downloads or CDs are available from Blackstone Audio's Downpour website. (See below for a track listing for those CDs.) 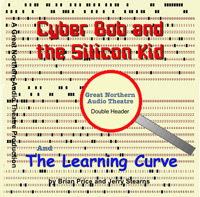 You can also download individual stories from Audiobooks.com. 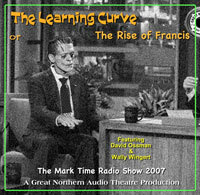 All CDs are available in the Twin Cities at Uncle Hugo’s Science Fiction Bookstore, including the most recent Mark Time Radio Shows (2009-2014), which aren’t available on CD anywhere else. Also take a look at our Side Tracks page, which has several works we’ve done individually or together over the years, and are available for listening here. 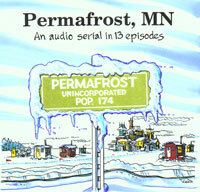 Permafrost, MN, an audio serial in 13 3-minute episodes.